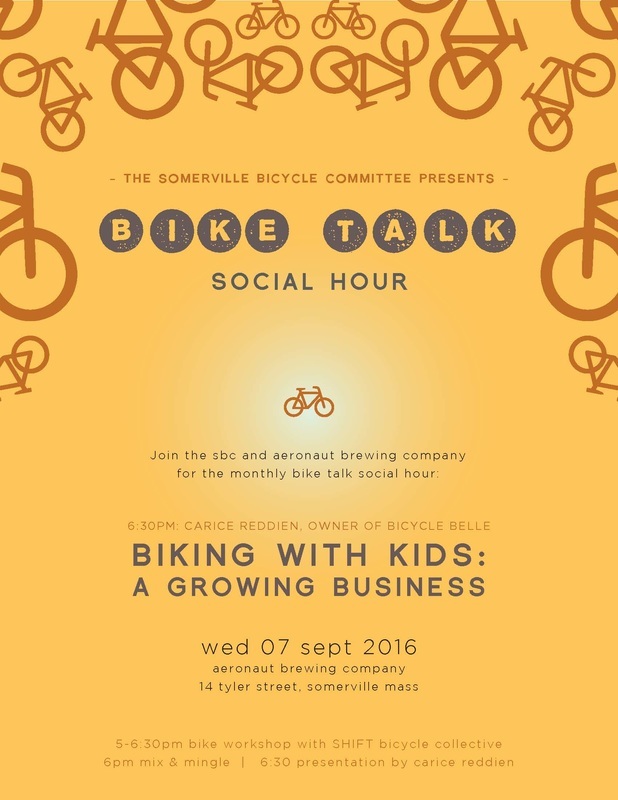 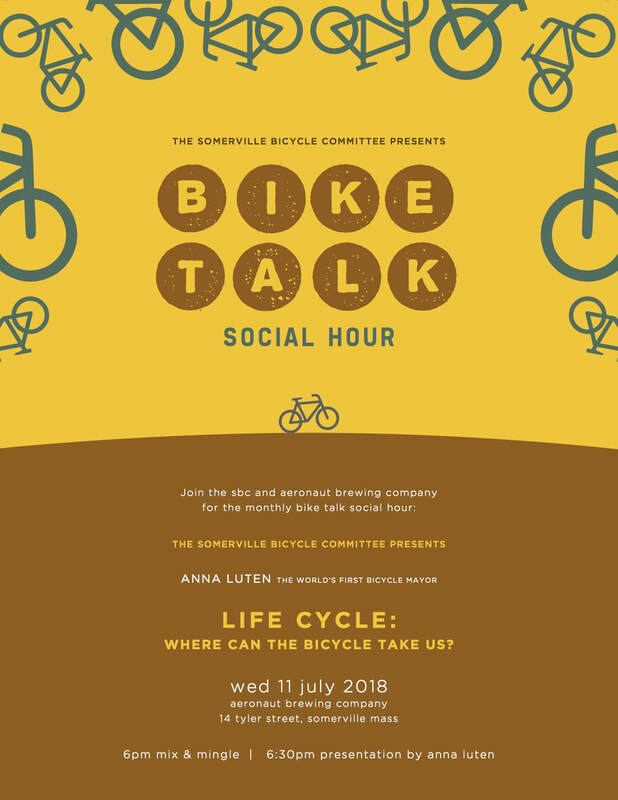 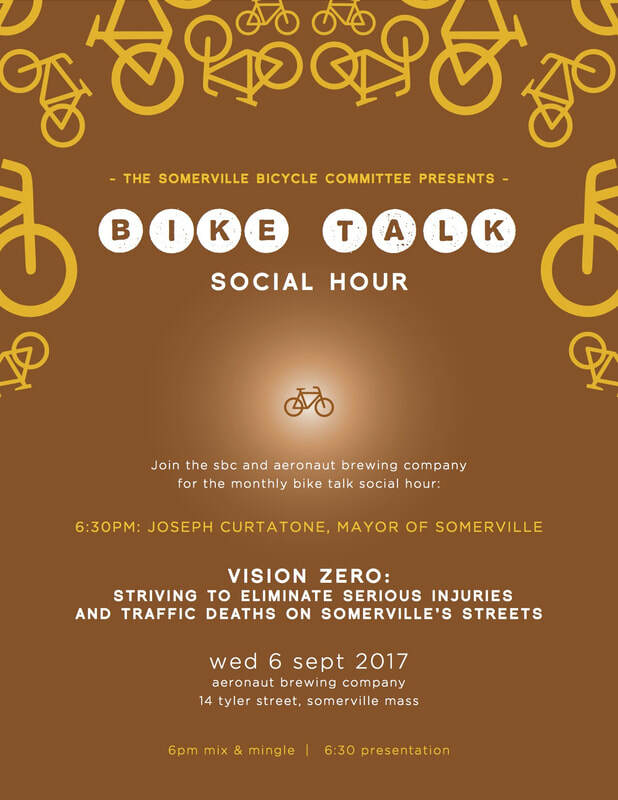 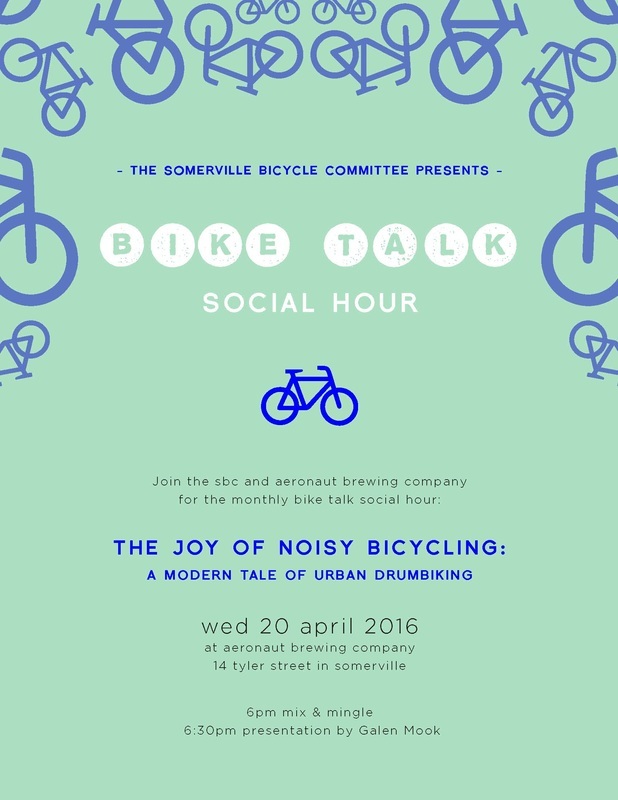 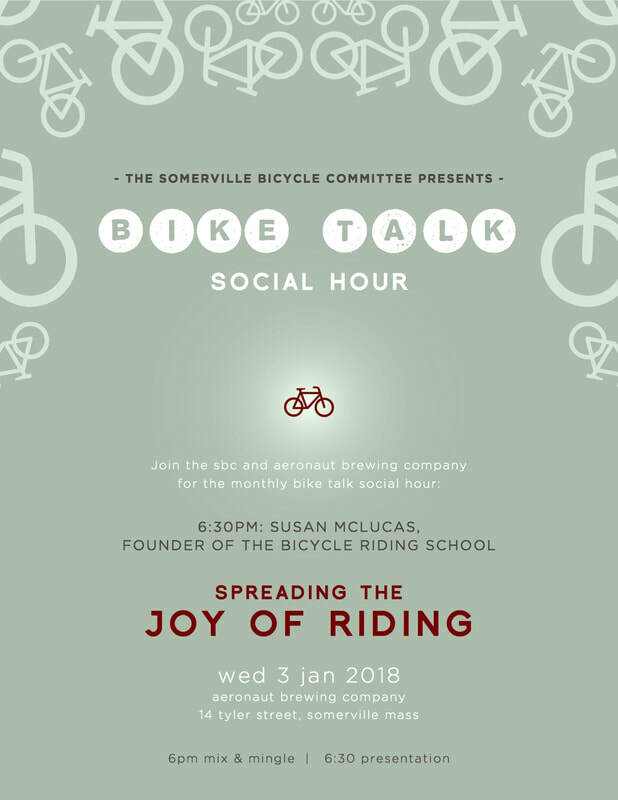 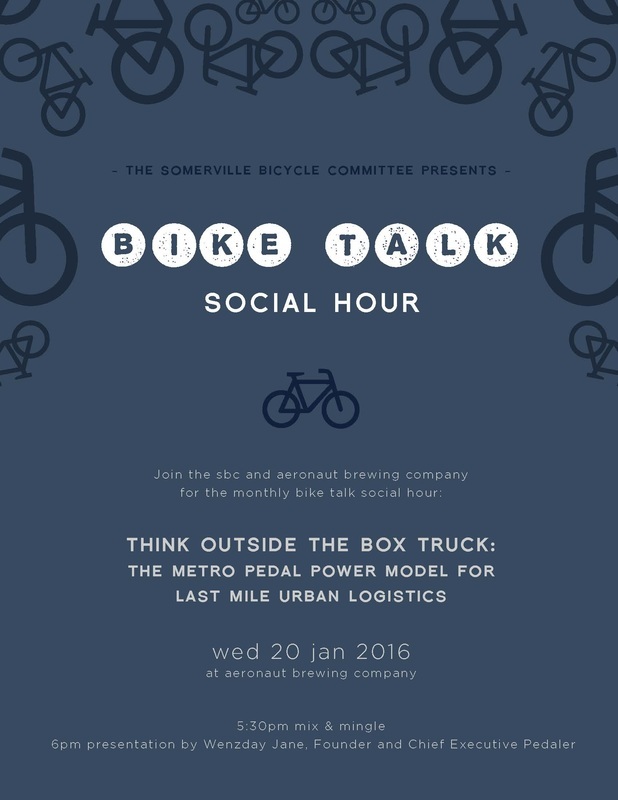 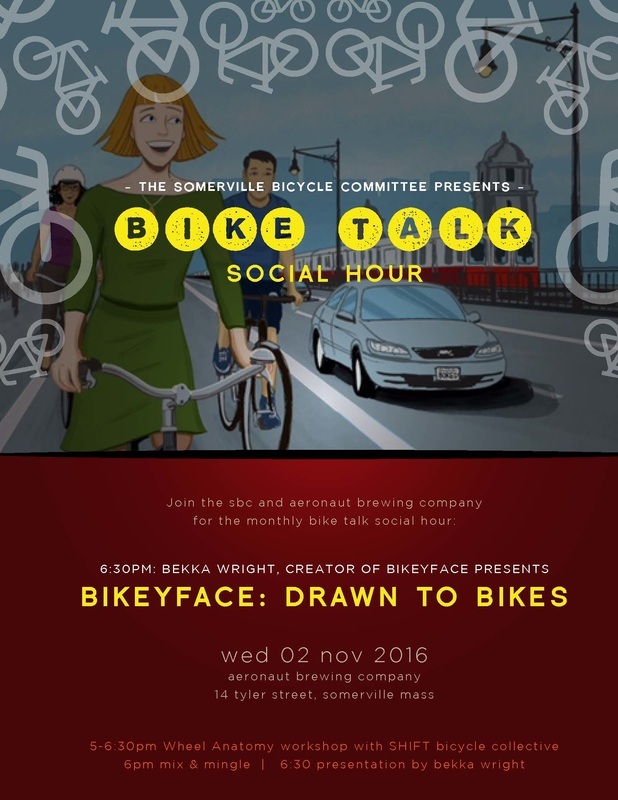 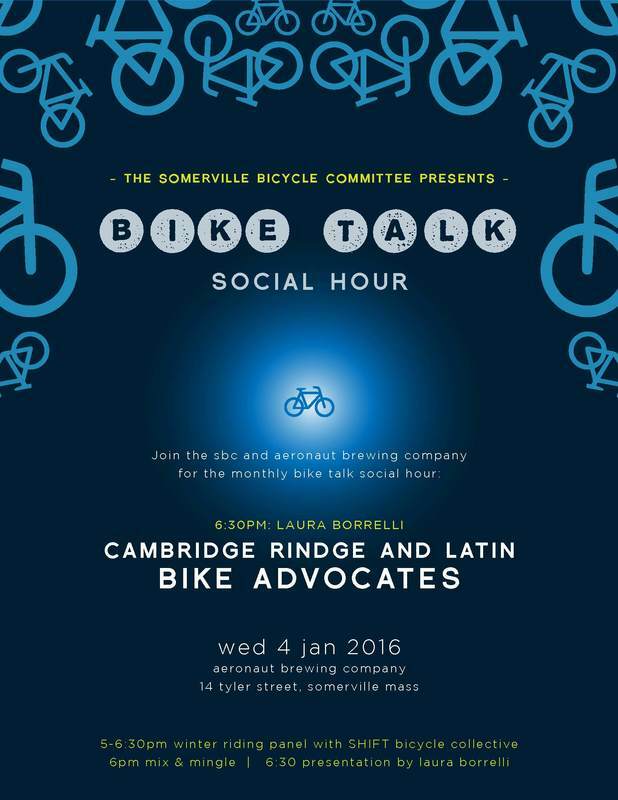 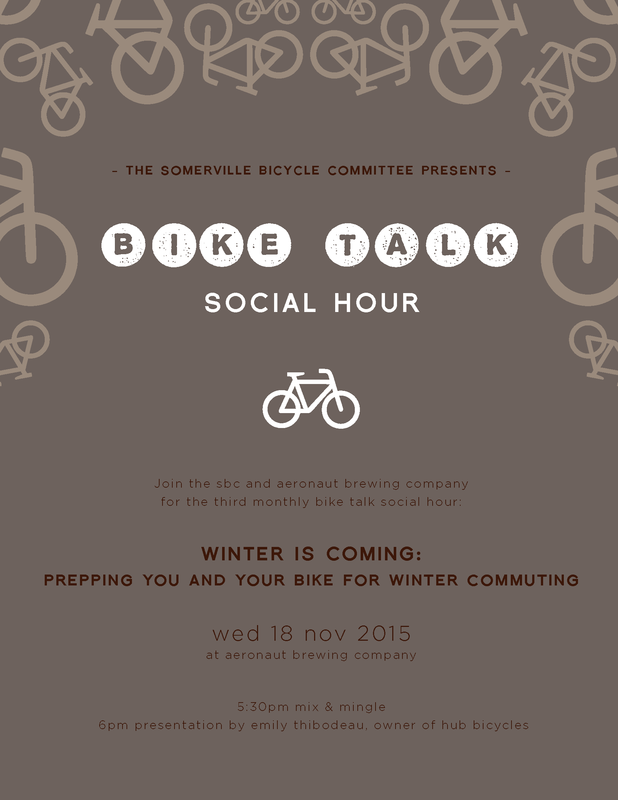 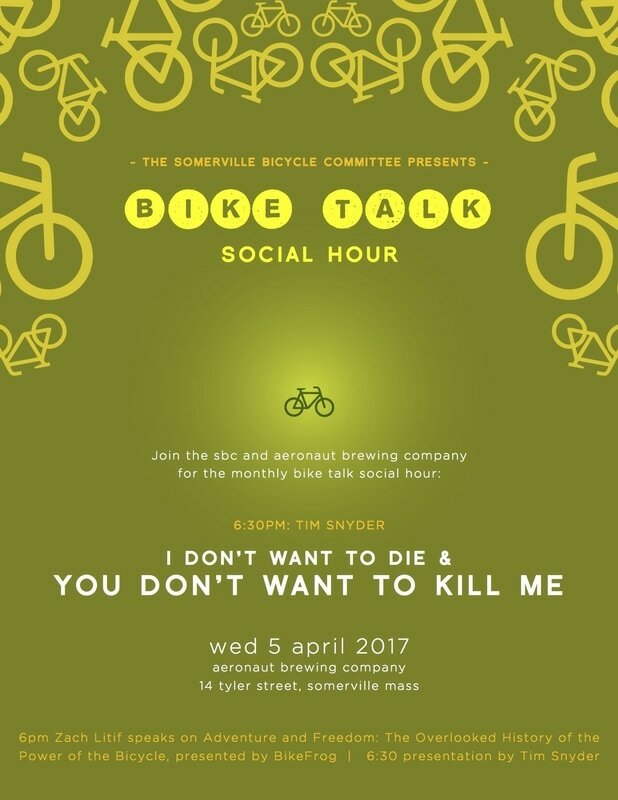 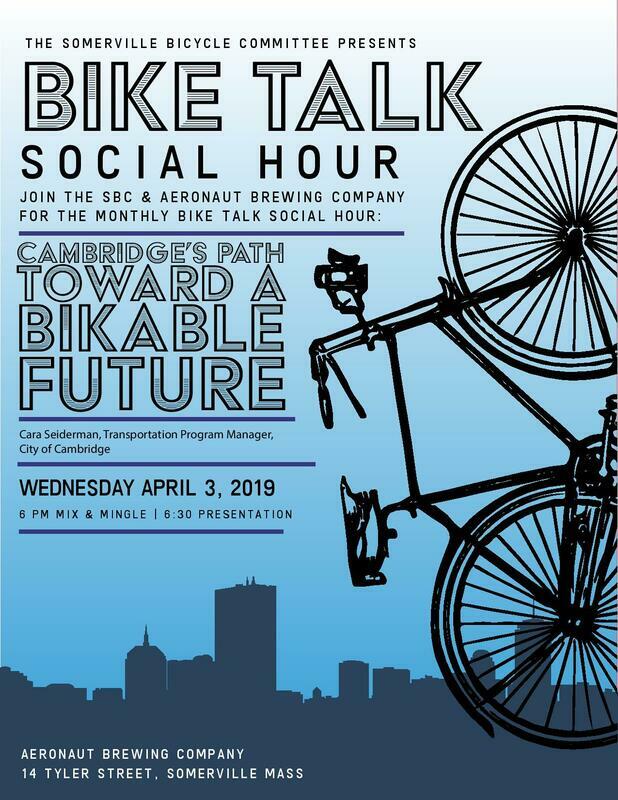 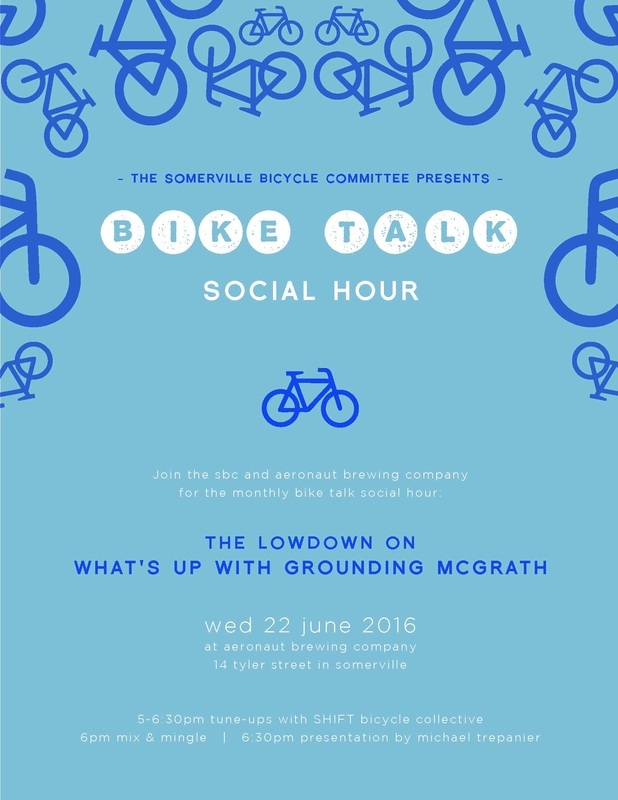 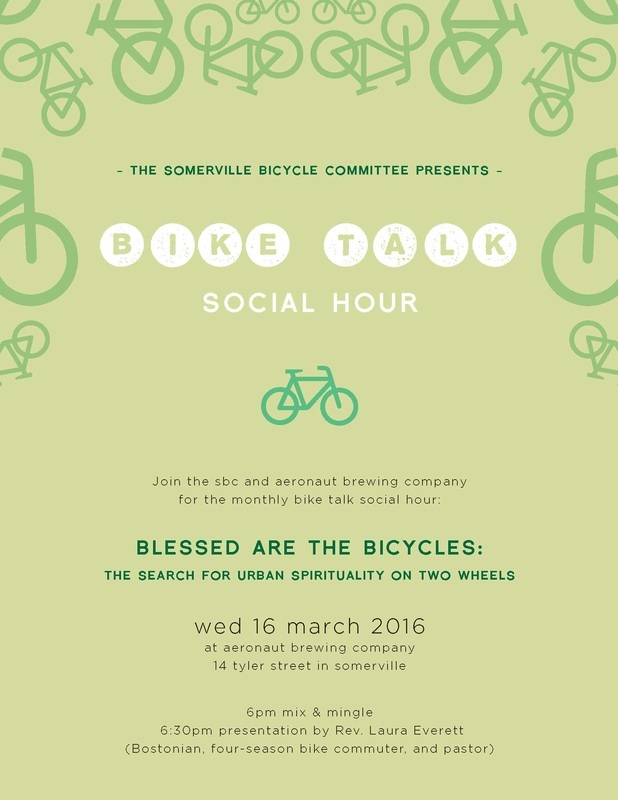 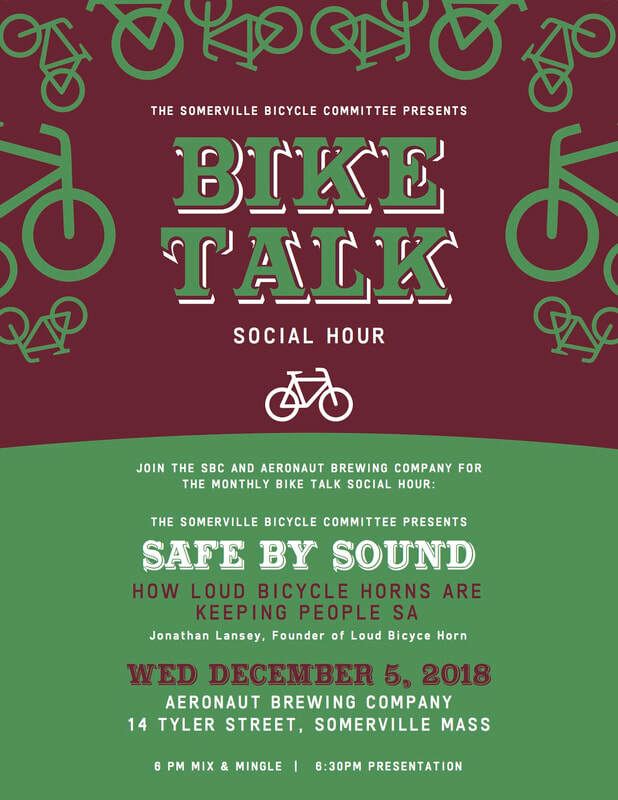 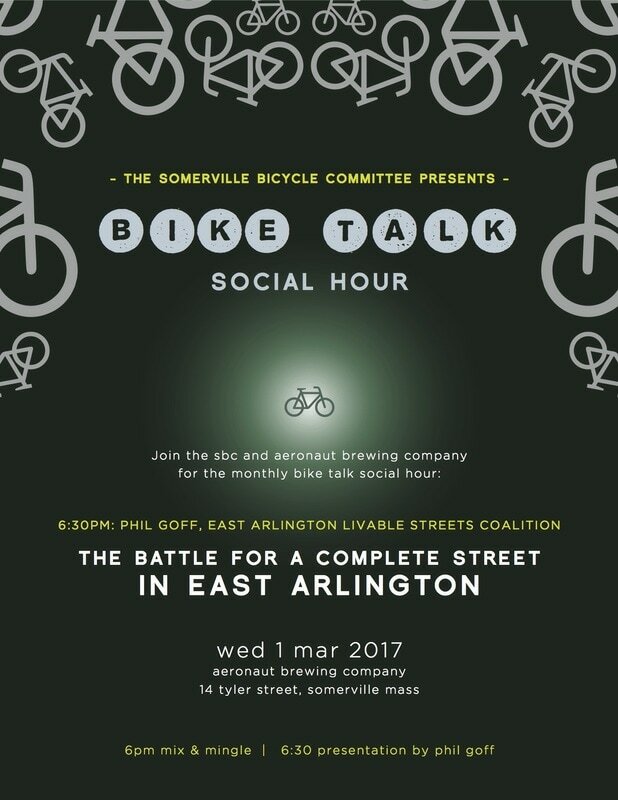 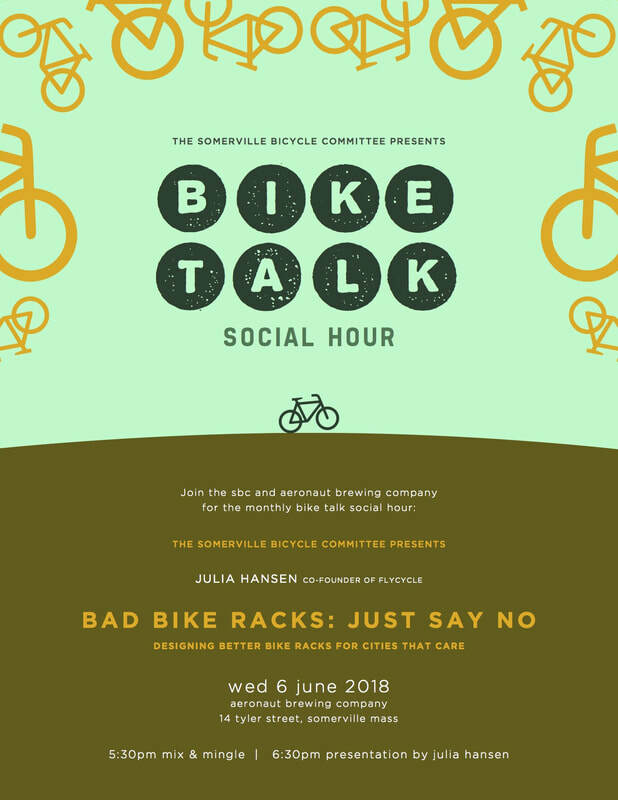 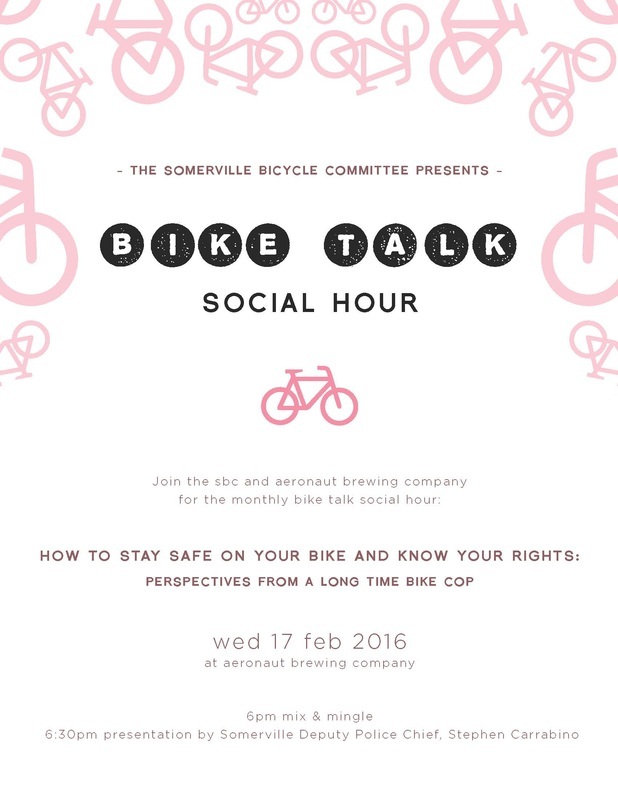 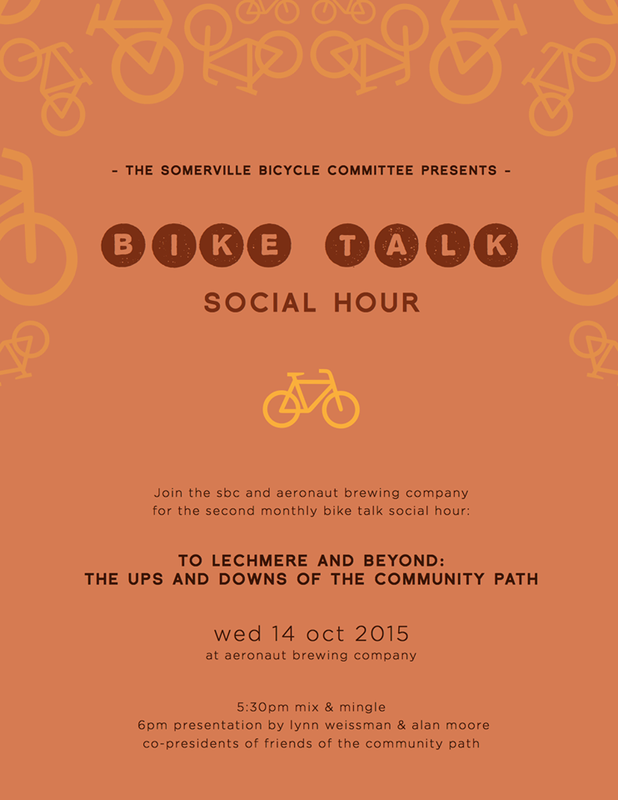 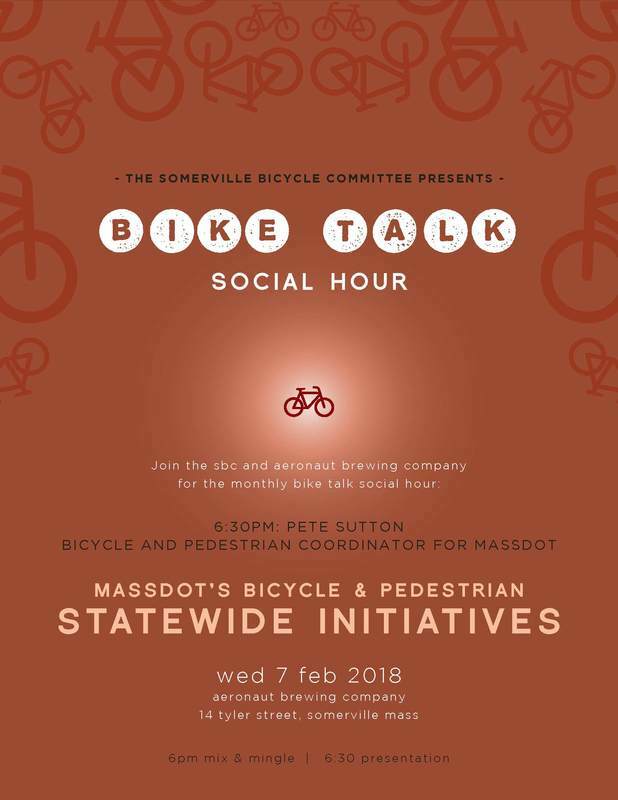 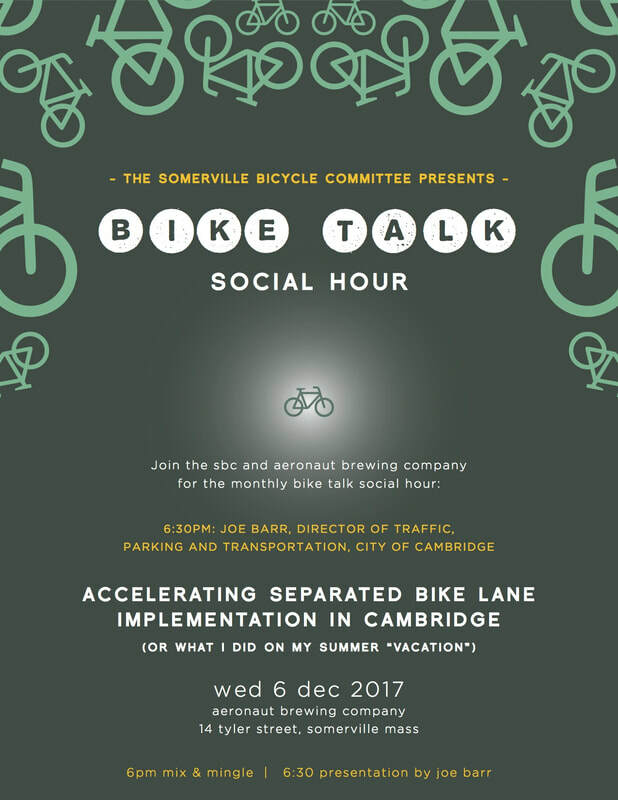 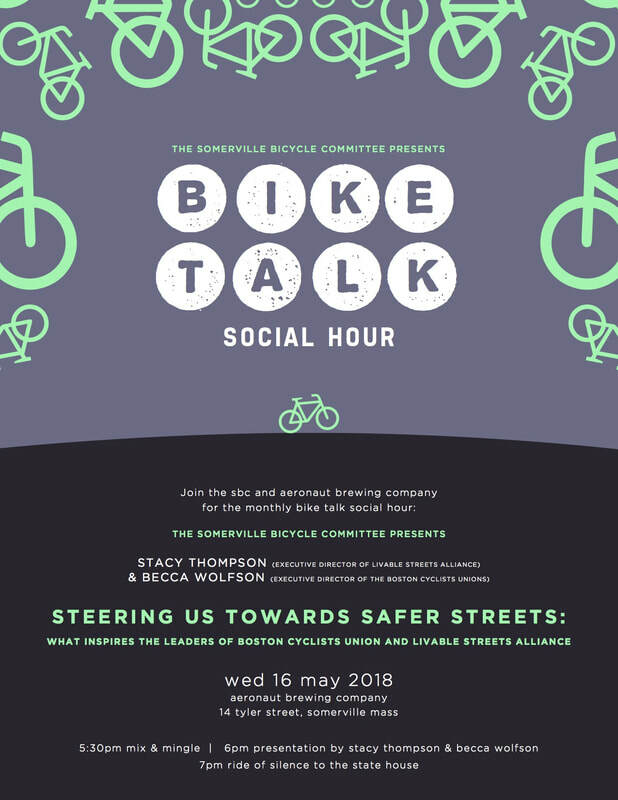 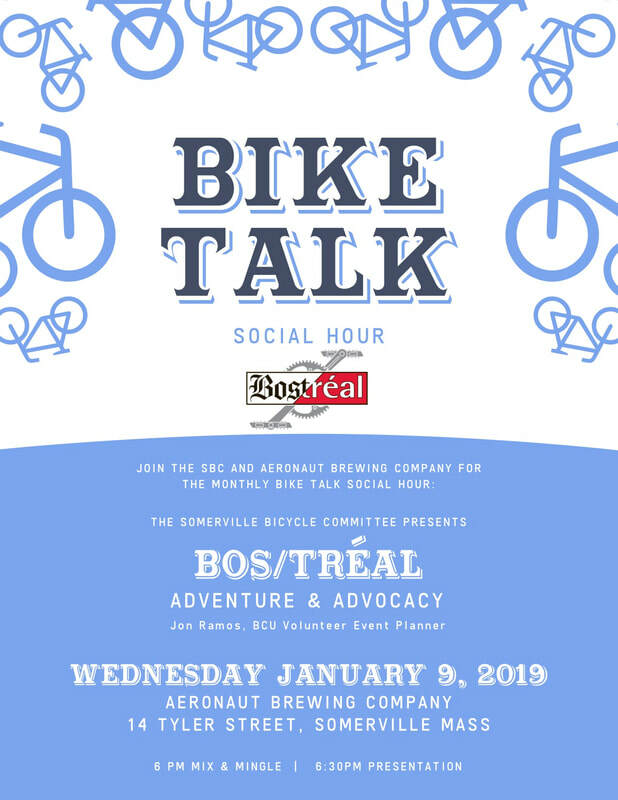 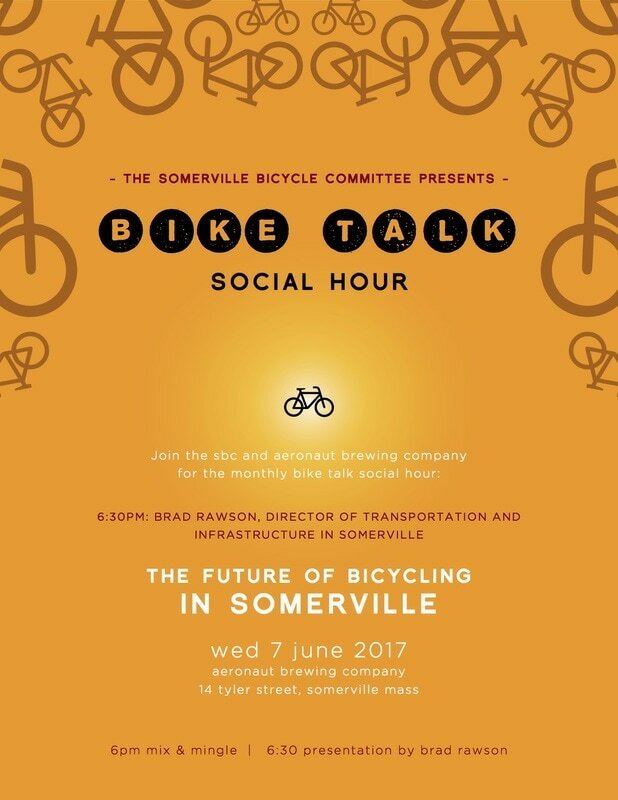 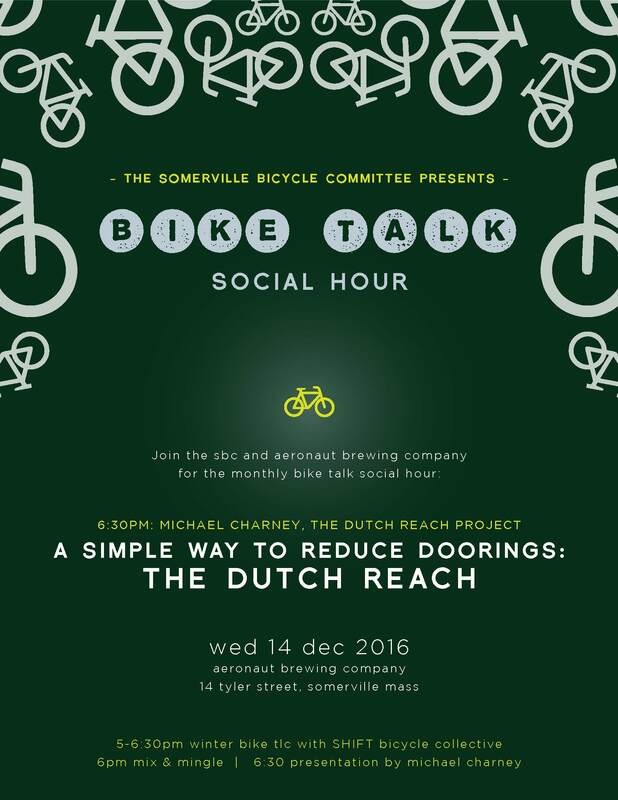 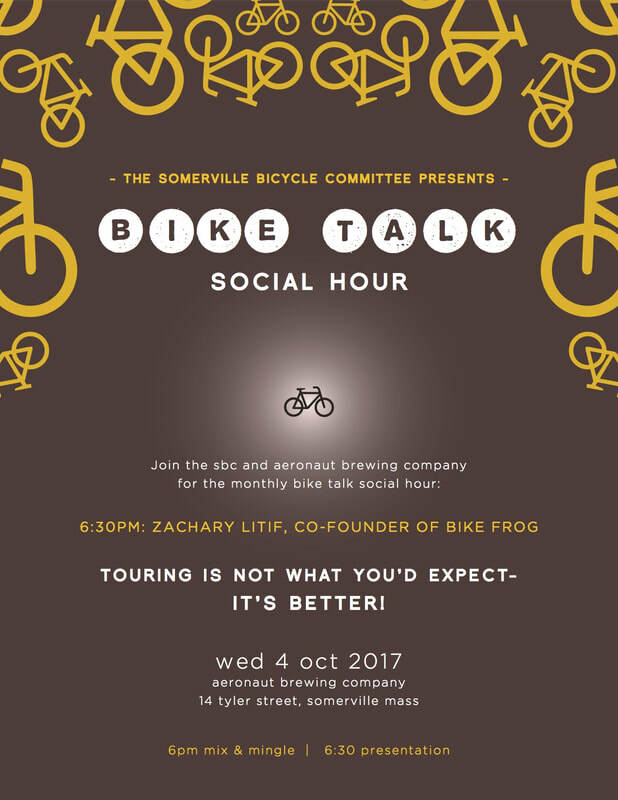 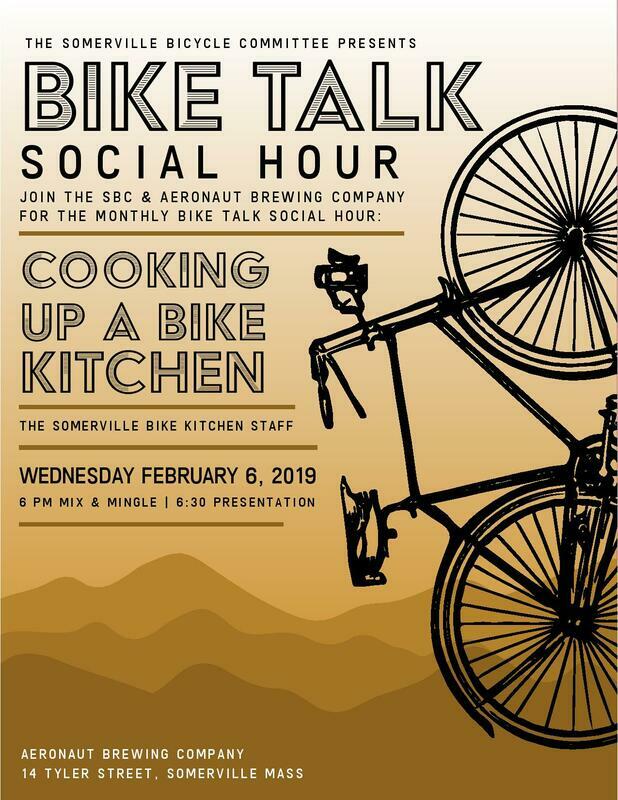 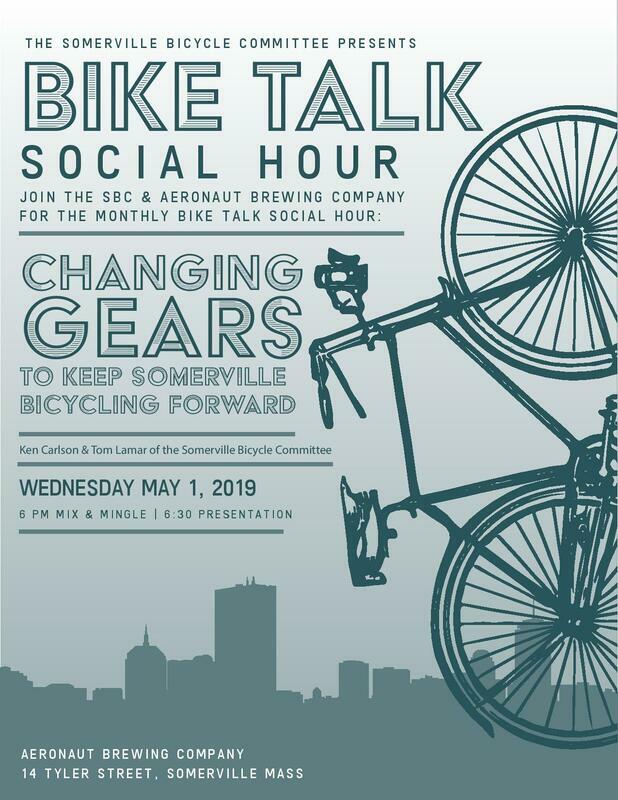 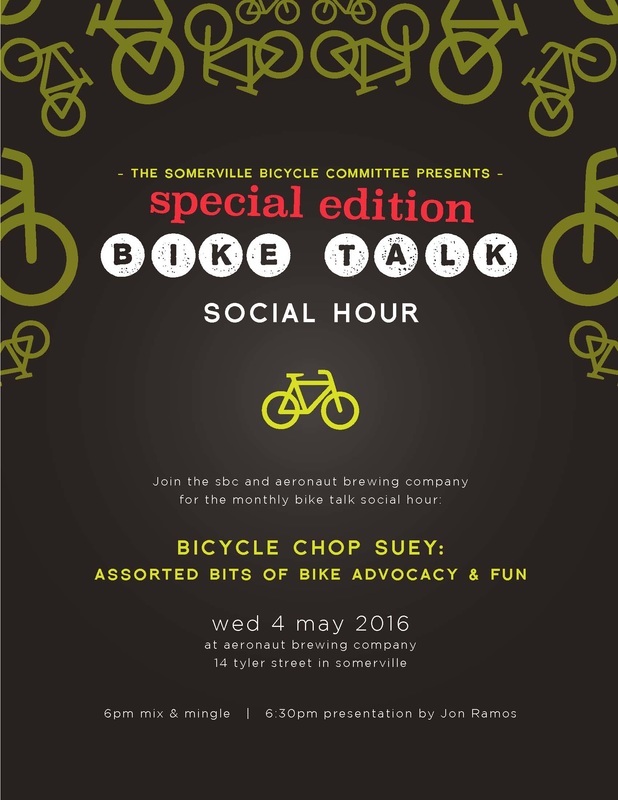 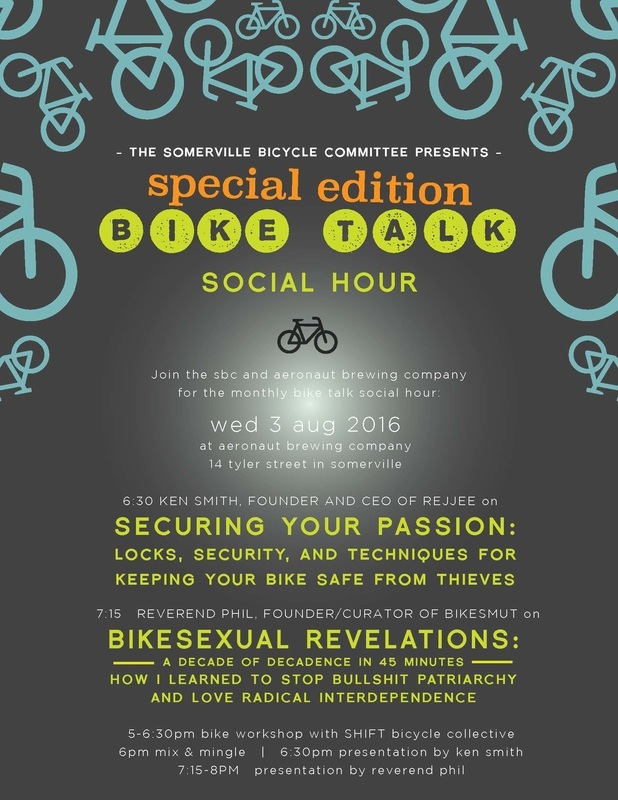 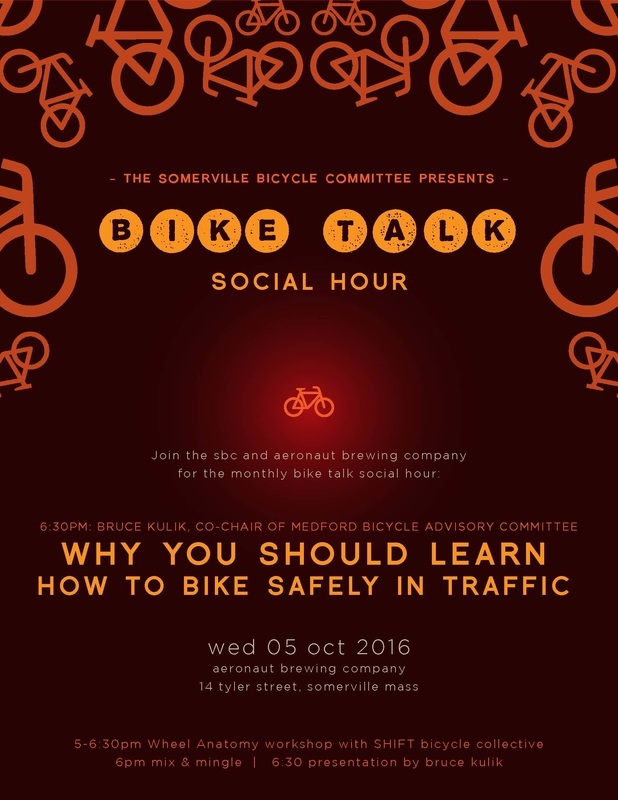 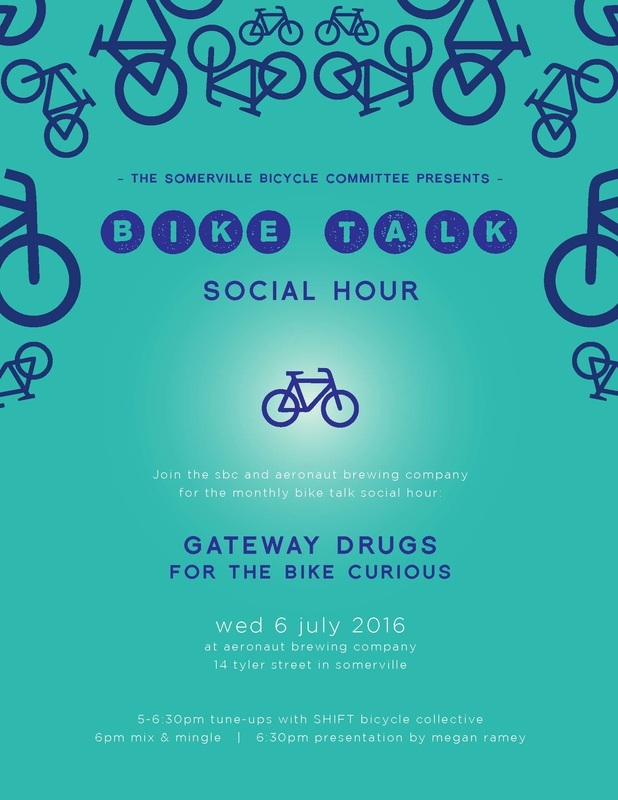 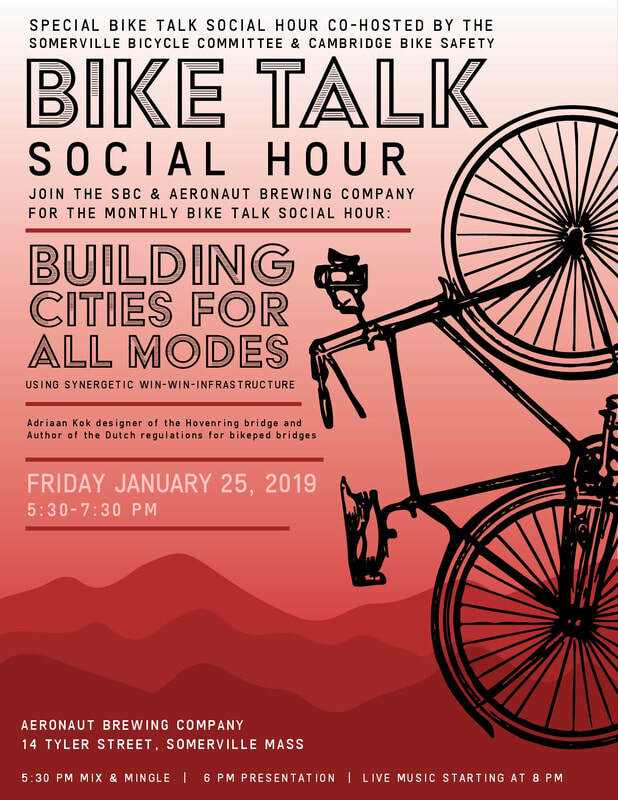 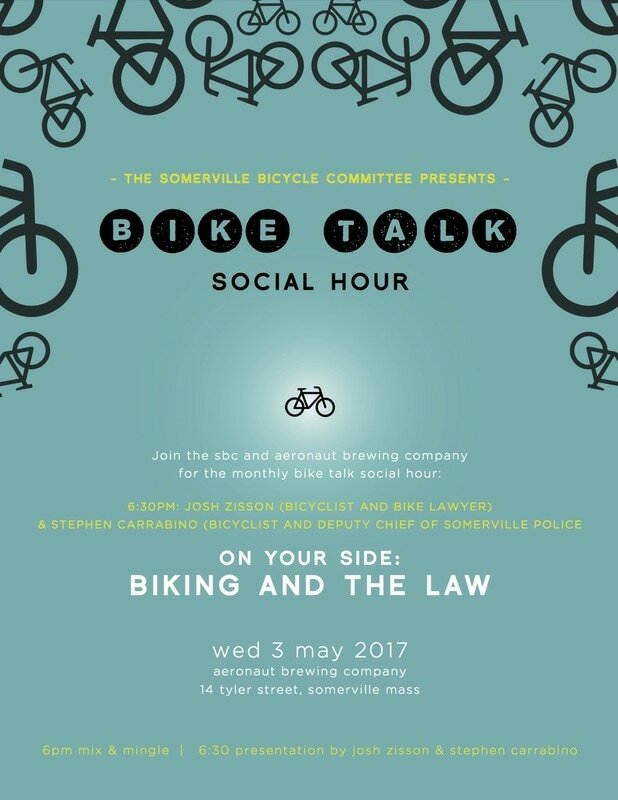 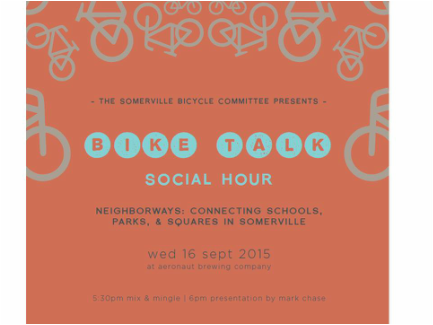 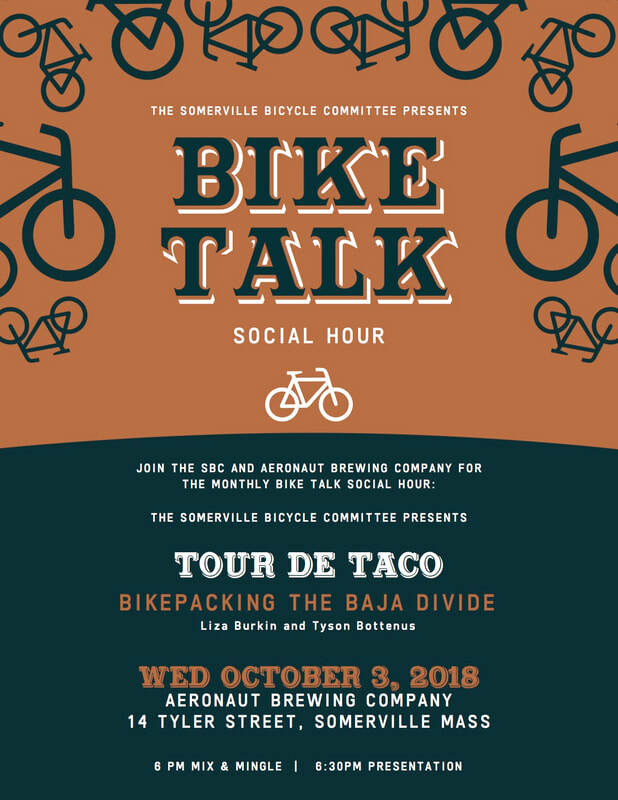 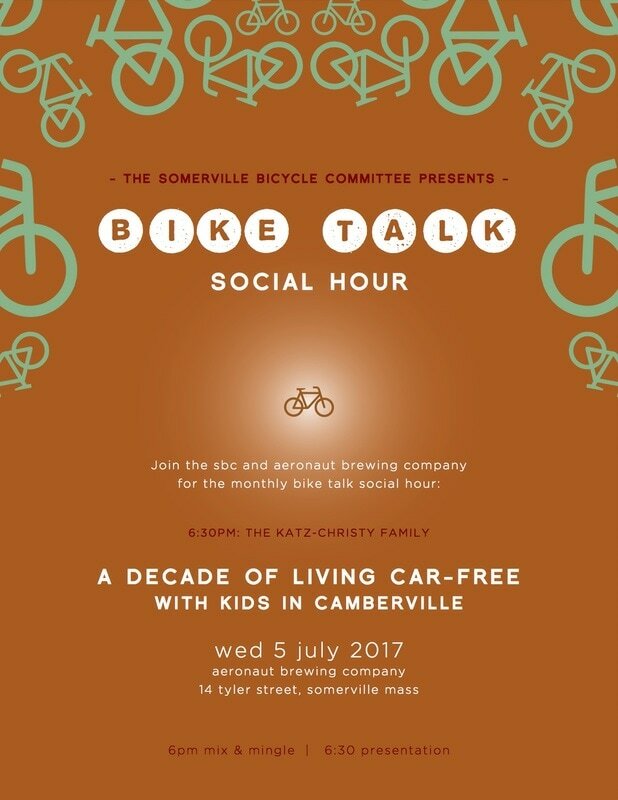 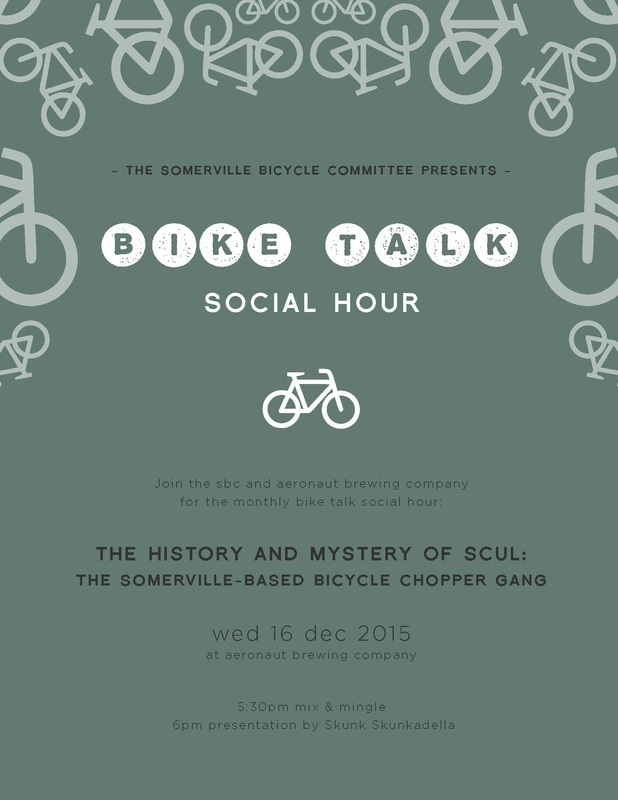 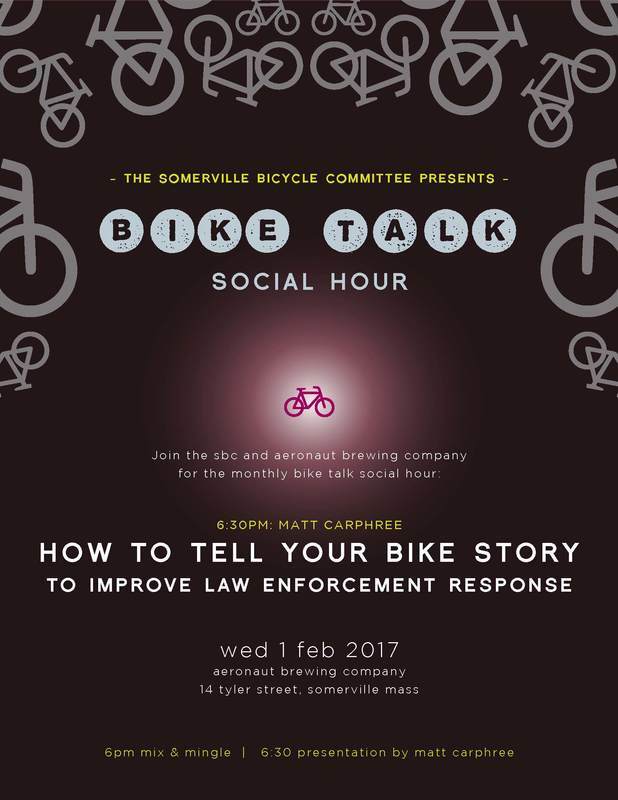 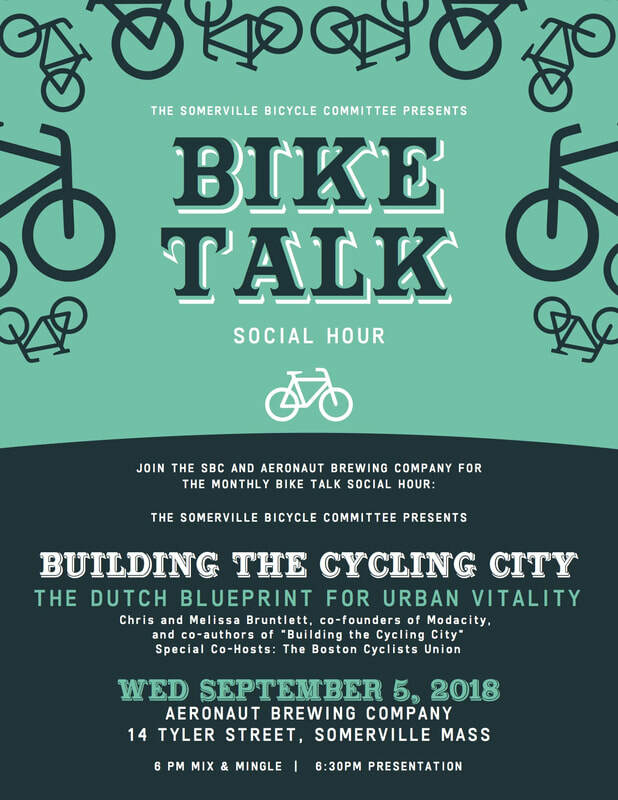 BIKE TALK SOCIAL HOUR- The Bike Talk Social Hour is a monthly event held at Aeronaut and put on by The Somerville Bicycle Committee. 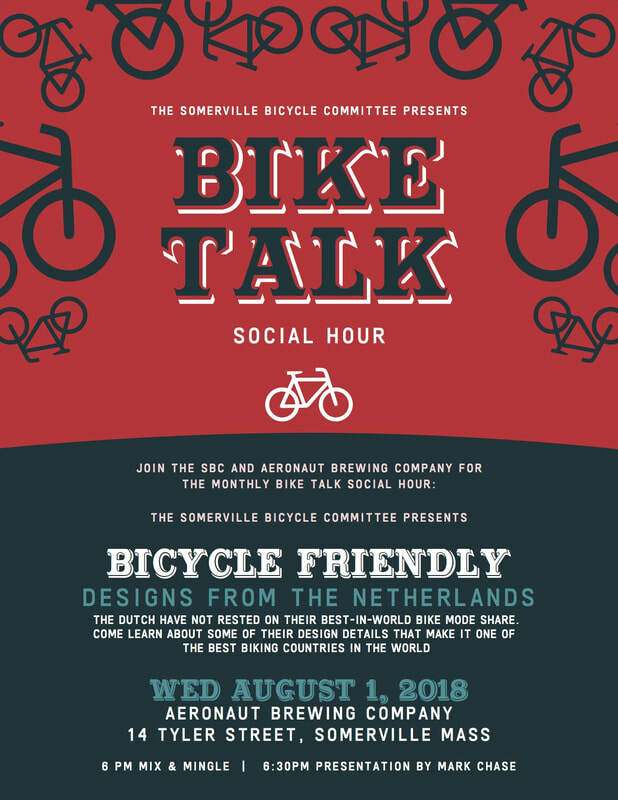 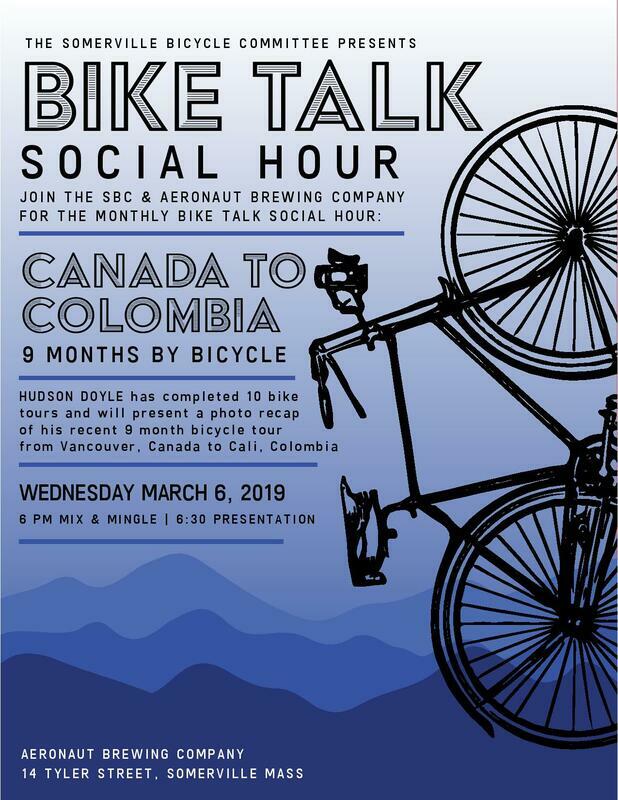 The idea behind the series is to bring together the cycling community- cyclists, bike advocates and the bike curious to socialize over beer and share their joy of cycling. 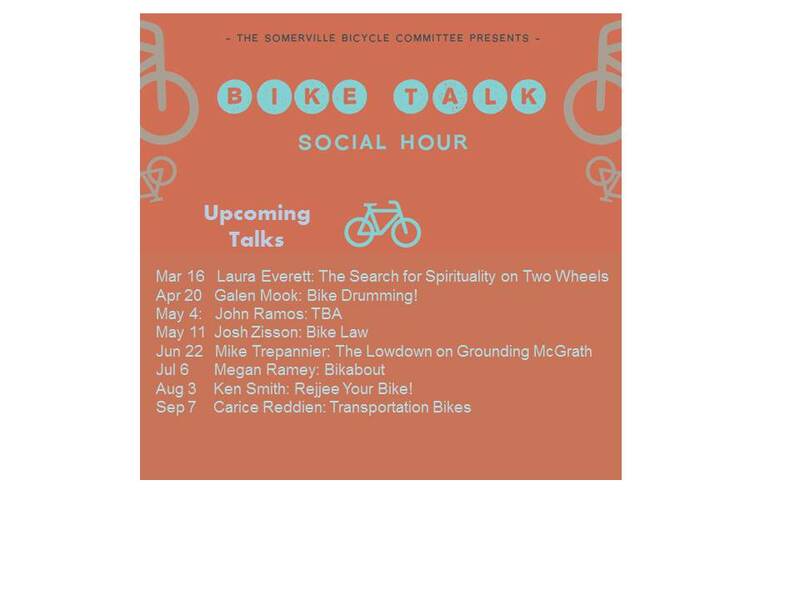 Every Bike Talk features a 30 minute talk by someone in the bike community- whether they are advocates, bicycle business owners, or others who have a cycling passion to share. 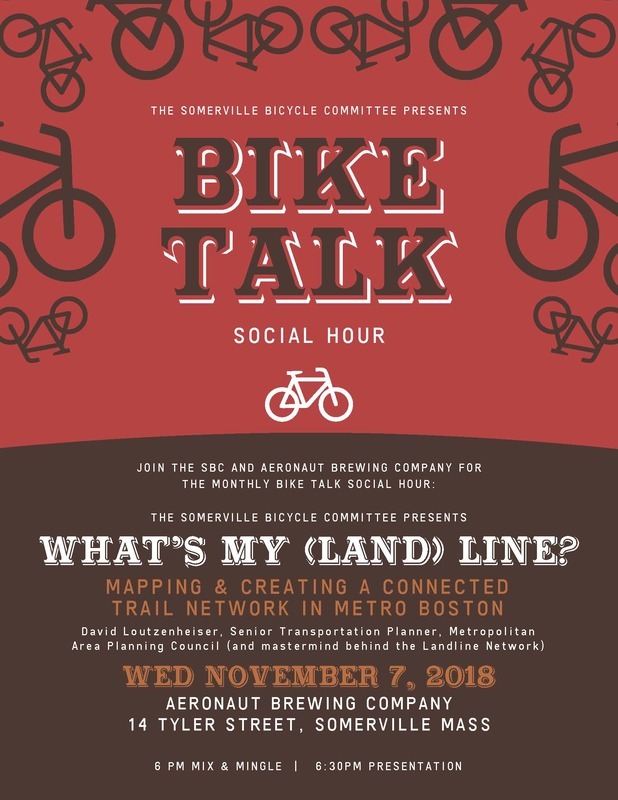 Held at Aeronaut Brewery, a business that devotes a lot of energy to building community, and one that is a favorite haunt of area cyclists.